Reputed Spanish journalist Guillem Balague believes Manchester United will retain their interest in Antoine Griezman, come the end of the season. The France international was heavily tipped for an Old Trafford switch, but he ultimately stayed put at Atletico Madrid after their transfer embargo was withheld. Since then, Griezmann has not been in the best form for the Capital outfit, and his former agent has cited that the Frenchman could pursue a fresh challenge next summer, having not looked the same player as the previous campaign. Balague has regularly talked up Griezmann’s transfer situation, and he feels Manchester United could be at a slight advantage over Paris Saint-Germain, who may have to balance their financial books first – after the summer arrivals of Neymar and Kylian Mbappe. 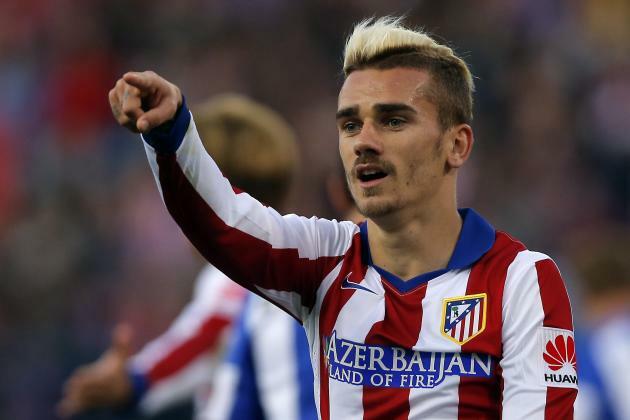 “There are lots of options for Griezmann. Add PSG to that as well, but they will have to sell players before they do that. He will play with the idea of being with either of them and he knows they both want him,” he is quoted as saying on M.E.N. Obviously, both Barcelona and Paris Saint-Germain could lure Griezmann with lucrative contracts from Atleti, but he has a better chance of establishing him at Old Trafford, where he stands the chance of becoming the main orchestrator in the attack. The Frenchman also has a very close relationship with compatriot and Red Devils star Paul Pogba and his potential move to Manchester United could propel the club to greater heights after having secured silverware in each of the last two seasons.